Hahaa just took a look at the BFTracker... Nemesis streaks would also be fun to mention maybe..? 7 For me, enemy must have been in an Artillery truck lol. I have a 36 streak, but that includes vehicles. On foot, strictly guessing, I'd say is about 12. Nemesis streak is 8, but nemesis kills is 31? That guy must have been p/o'd. My nemesis streak is only 6. Not sure who it was, but I'm sure it was with the Model 10 slug as well. When I got my 11 kill streak with it I noticed a few people switching to it before the round was over. Slug slingin' fun! And no.... It wasn't in a stupid tank. I did it on Monte Grappa with that dual mag SMG elite kit. Seriously check my stats, I don't even have 30 tank kills. 23, I think it was when I was playing Support but got into D turret on Monte Grappa. I had a good team all around me protecting the flag and the enemy just kept rushing the turret. I killed some of the same guys two or three times from my rotating turret easy chair. It was epic! Infantry kill streak? Probably no higher than 8, maybe even less. I know its at least five because I got at least one medal that required 5 kills in a life. I also have 10 enemy kill streaks while on horseback. Funny is I've hit a 9 or 10 kill streak from horseback quite a few times but never gone over it. I think its because by the time I get up to 10 kills, my left thumb gets tired from running the horse around. The horse is my favorite. I went 42-18 yesterday as assault on giants shadow had a 22 kill streak with the autimatico storm. 95 with the fighter plane. My highest is 34... but i play just as infantry. 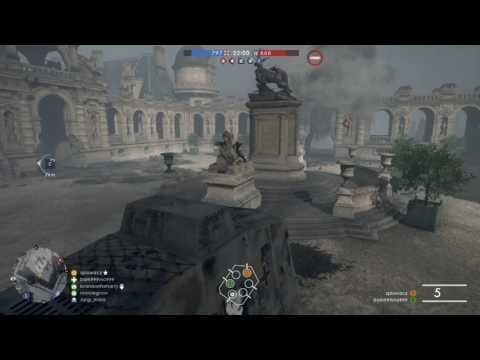 Was playing a game of Argonne Forest last night and kept having that problem. At least 6 to 7 supports on my team and nobody was throwing ammo. All the supports act like throwing Ammo packs cost them money or something. WTF?! 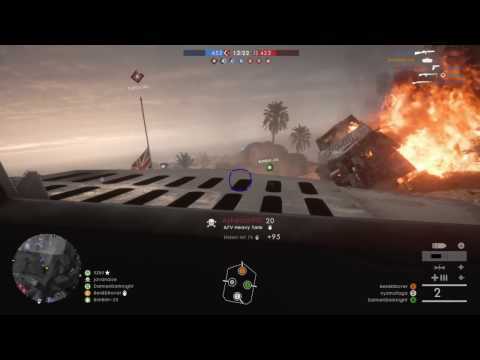 Good going,especially with automatico on giant shadow.Was it around C and D flag? Stonetrose7 yeah it was in the blimp mostly just running the hill. It was a close game 1000-936 but we lost lol. 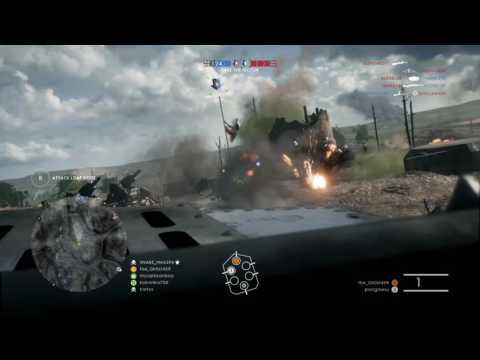 I've been playing a while and got 46 kills and 0 deaths in a tank in conquest, video below, what's the highest flawless killstreak that anybody got ? Very nice run. I noticed you never switch to first person view. Might have been able to get even more kills if you did that occasionally. Great that you had a squadmate Dom999 in your tank the whole time. He didn't get a lot of kills but probably gave a lot of helpful suppression. Good job staying alive the whole round. Great vid. I like the music. And awesome horse run at the end. You stole the horse killing the cavalry guy while he was dismounted. Way to survive. 21 I think. Done with an artillery truck I stole from some camper.